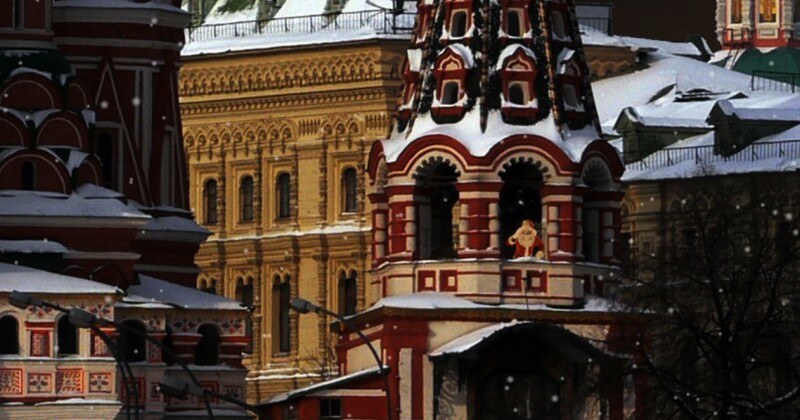 Santa has been popping up all around the world this year and now he is popping up at the beautiful and majestic St. Basil’s Cathedral at Red Square in Russia. He enjoys delivering gifts into every home where good boys and girls are. Remember to be good this year so you can make sure Santa drops by Christmas Eve. In Russia a white tablecloth and hay remind Christmas Eve diners of Christ’s manger. A meatless meal may be prepared for Christmas Eve, which is eaten only after the appearance of the first star in the sky.